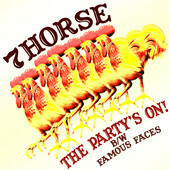 7Horse began as a hypothetical: What if, longtime band mates Joie Calio and Phil Leavitt thought, we bury our musical past and see if we can discover rock ’n’ roll’s Ground Zero? 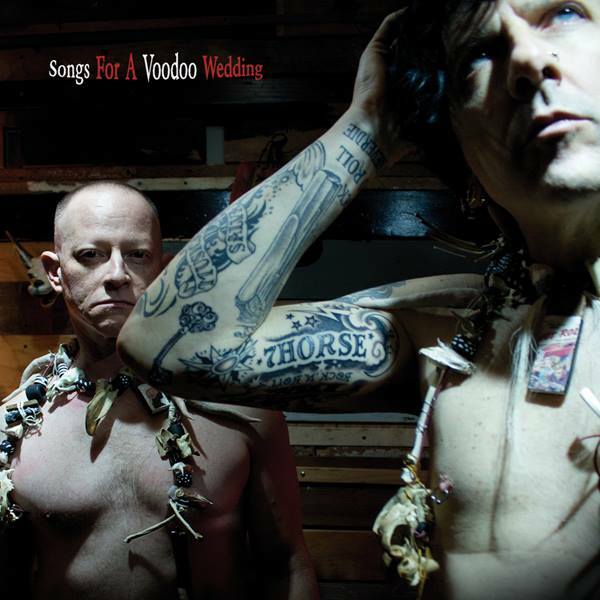 That question having been explored in bold fashion on their 2011 debut “Let the 7Horse Run,” the blues duo returns with an even deeper sense of purpose on the follow-up, “Songs for a Voodoo Wedding” (due June 10). The larger question: What if the mission were not to locate rock ’n’ roll’s chewy center, but to find and channel their own personal identities? Part of what informed the sophomore album, however, was the “quality” time Calio and Leavitt spent together in the interim. Though accustomed to touring in the relative luxury of a bus for much of their careers, the pair piled into a van to tour the U.S. behind their first record. On the vehicle’s stereo for most of the slog: The masters, such as Johnny Cash, Waylon Jennings, George Jones, Merle Haggard, along with early blues legends such as Little Walter. The unfinished business of making “Songs for a Voodoo Wedding” awaited, and Leavitt and Calio attacked it with vigor. Sessions for the album were divided between three locales — In the Pocket Studios in Forestville, Calif.; Sage & Sound Recording in Hollywood; and Third Ward Records in Milwaukee. Each of the album’s 11 tracks were recorded live, with as little overdubbing as possible, with Jon Chi, Scott Gordon, Gregory Haldan and the band co-producing. The album was mixed by Dave Way and mastered by Howie Weinberg. Leavitt drew from the trip to conjure up the initial idea for the album’s first single, the country-fried “Flying High (With No ID).” Imagine negotiating airport security 1) having left your driver’s license at home, and 2) sucking on a cannabis lollipop. It adds a whole new meaning to reaching cruising altitude. The Stonesy “Carousel Bar” was born during tours of the French Quarter. The pugilistic “Some MF” pulses with grooves inspired by the Rebirth Brass Band. And “Headhunter Blues” is testosterone-charged chin music with a baseball metaphor — “You’re comin’ up and in on me” represents an unflinching batter’s reaction to a high-and-inside fastball. As if “Songs for a Voodoo Wedding” doesn’t sound boozy enough, there’s a song the duo hatched about Leavitt’s favorite drink, the predictably woozy “So Old-Fashioned.” Then there’s the other side, “Before the Flood,” a paean to the inevitable hangover. But it’s the almost-boyish enthusiasm with which Leavitt and Calio undertook the album that shines through. One night during the Forestville sessions, Leavitt had an ah-ha moment and rushed out of bed toward the studio — only to run face-first into a sliding glass door, busting up his nose. On a side trip to San Francisco, Leavitt became smitten with a street musician playing a cane flute, so he asked the man to give him a lesson, recording it on his iPhone, naturally. Then he bought a cane flute and incorporated it into a song. And the album-closing ditty “A Friend in Weed” (“is a friend indeed” goes the rest of chorus) was written on the fly for a gig at a music festival in the town of Weed, Calif.
From Calio’s dirty blues licks to Leavitt’s earnest, unadorned vocals, “Songs for a Voodoo Wedding” sounds like the work of two guys who’ve turned over the soil and found the roots. In other hands, the barebones rocker “I Know the Meaning of Rock ’N Roll” would sound like an audacious declaration, but, as they say in country circles, this is not the duo’s first rodeo. Even if, Calio points out, it doesn’t feel like a do-over. * Your song 'Meth Lab Zoso Sticker' has just been added to KIAC Hitline station! * Your song 'Meth Lab Zoso Sticker' has just been added to Rock station! * Your song 'Low Fuel Drug Run' has just been added to Left Field station! * Your song 'Low Fuel Drug Run' has just been added to THE NOBODIES CURSE! station! * Your song 'The Party's On!' has just been added to the jambaly station! IAC Your song 'Famous Faces' has just been added to Music Lovers station! IAC Your song 'Famous Faces' has just been added to FAME & GLORY station! IAC Your song 'Famous Faces' has just been added to INDIE SPIRIT station!